DIKE Shipping assists shipping companies (Carriers or ship owners) in all matters regarding MAR - The International Shipping Register of Madeira. We provide services that help the companies, not only to choose the best flag for commercial ship or yacht but also we take care of the entire registration process and subsequent follow-up. Law degree and Admitted to the Portuguese Bar Association. Senior Partner (Legal) at Dike Advisory and Chief Director of Legal Dept. 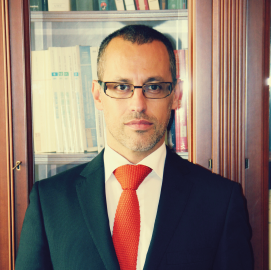 & Intl.Affairs at FAREM, Head of the legal department of Dike Madeira a Company based in the International Business Centre of Madeira.